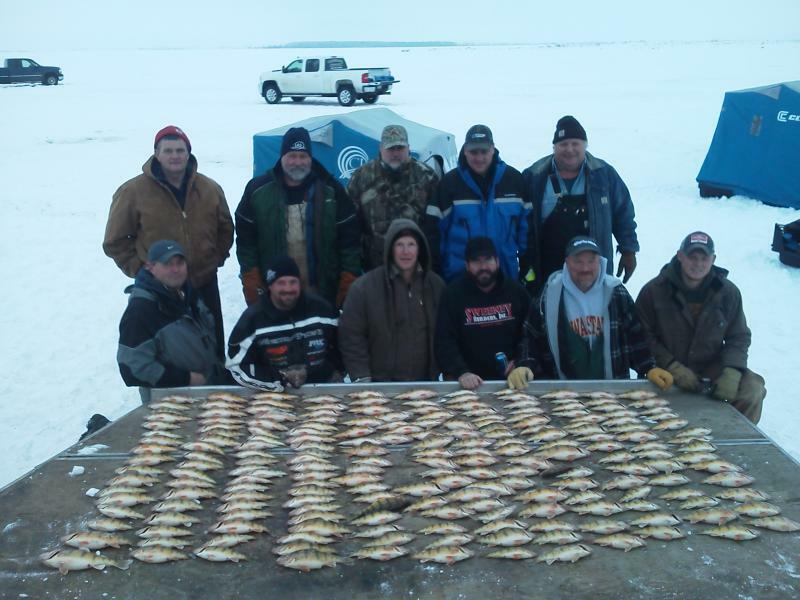 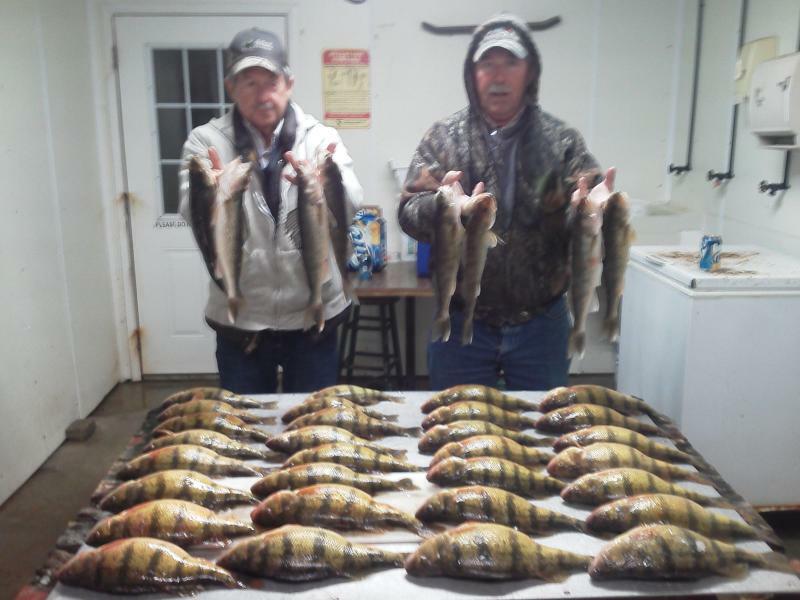 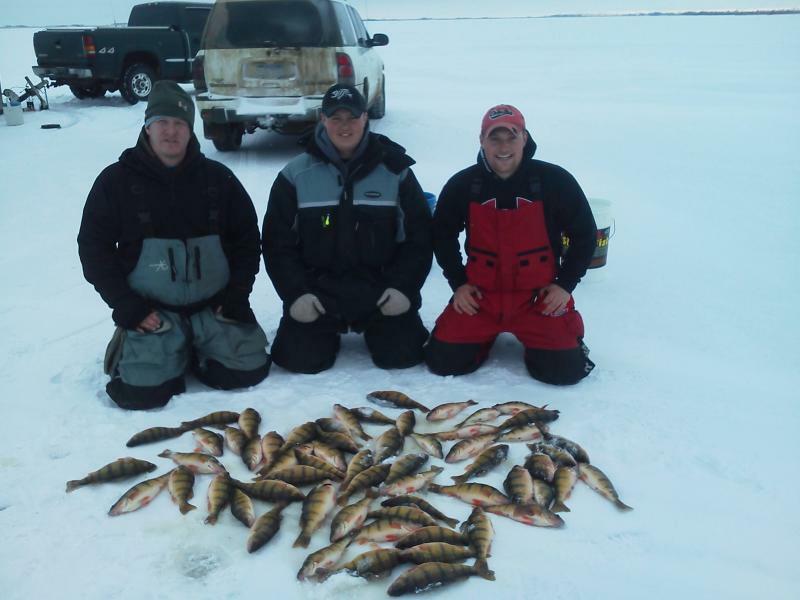 The Glacial Lakes region of Northeastern SD is famous for its Jumbo perch during the winter months, and with high water levels the last 10 plus years the numbers are sky high. 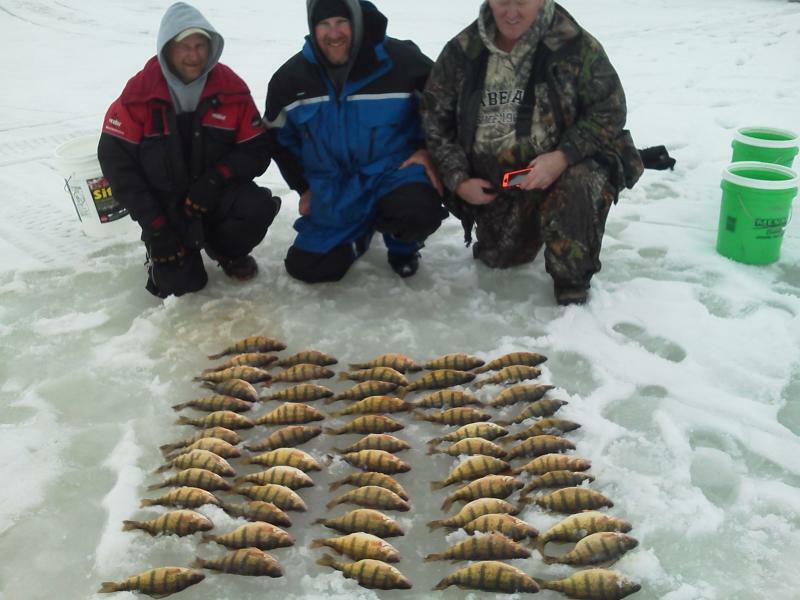 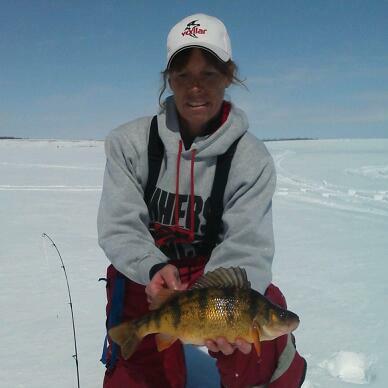 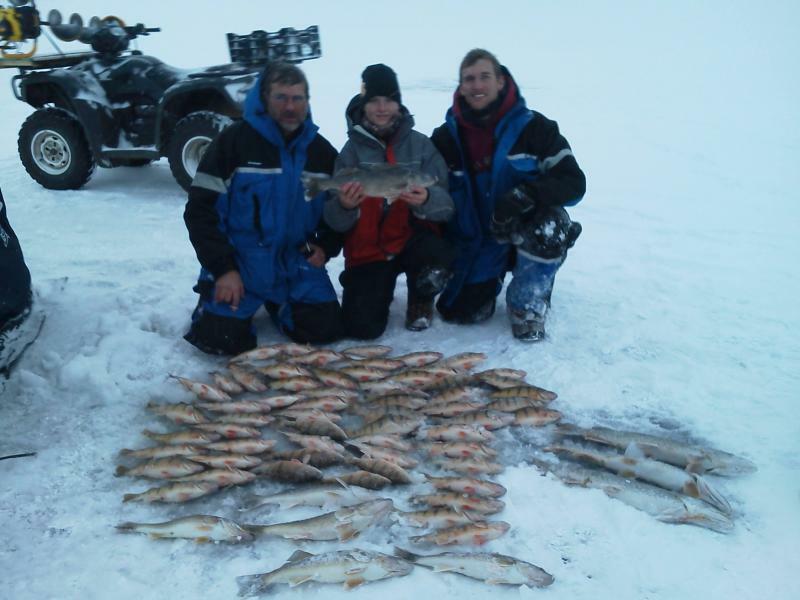 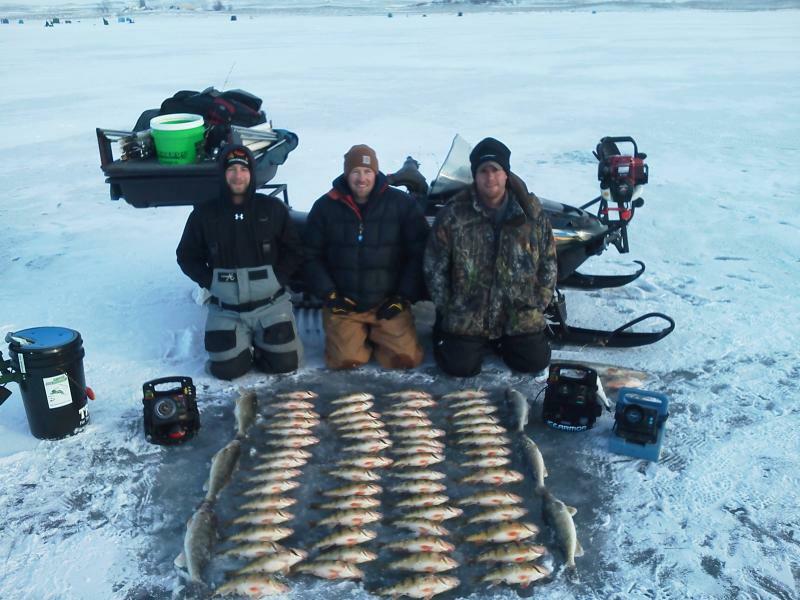 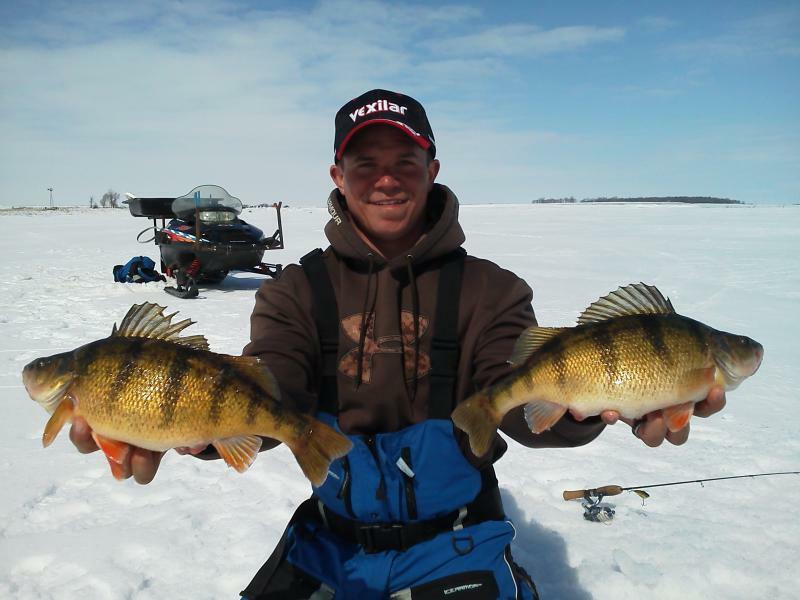 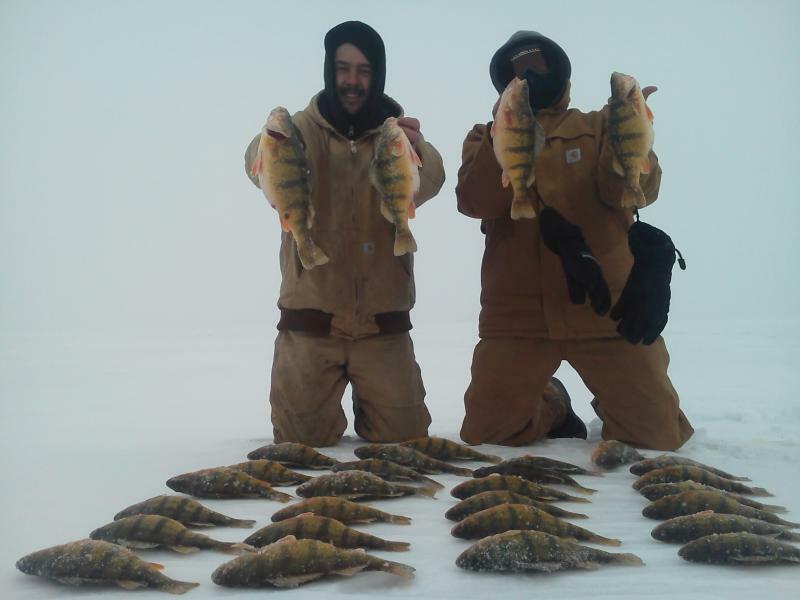 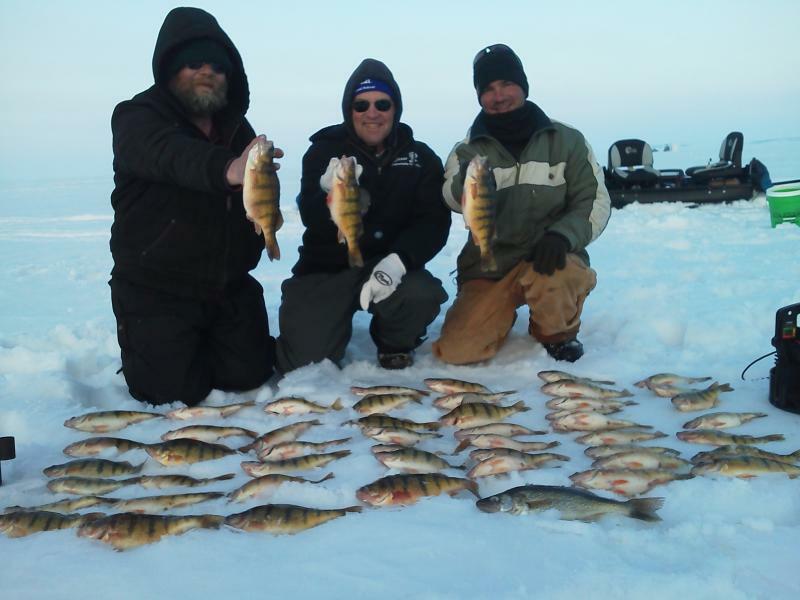 In the past 5 winters our clients have put more than 25 jumbo perch on the ice exceeding the 2 lb range. 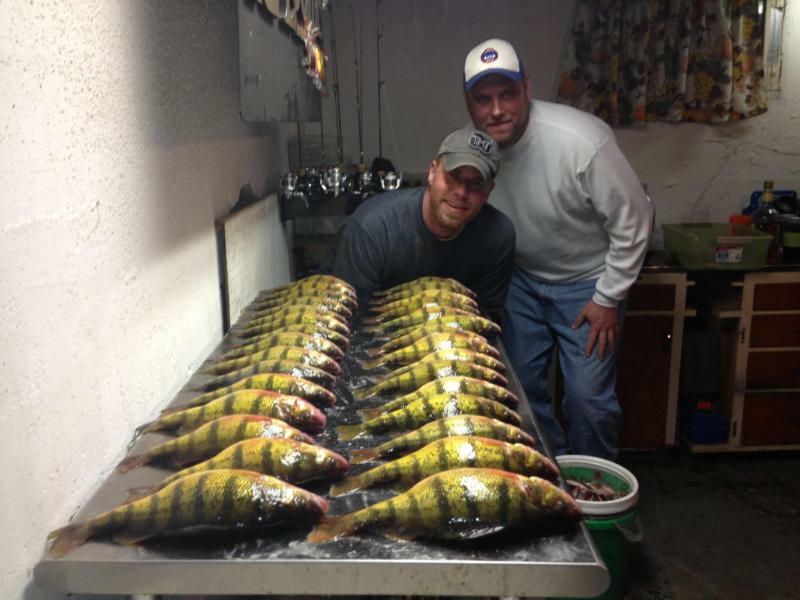 With Limits of 10 to 13 inchers comeing on a daily basis! 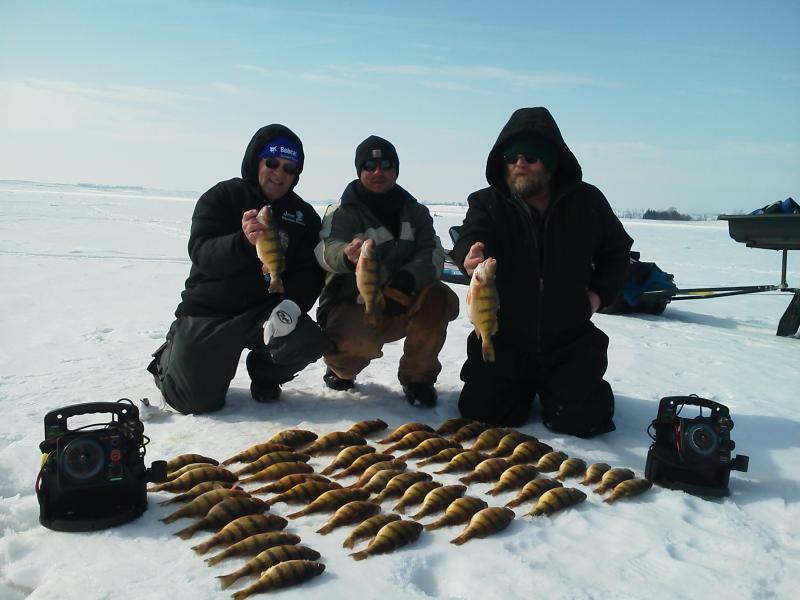 ﻿﻿If sitting on a pail over the same hole all day wishing your bobber would go down is not cutting it any more let us reassure you that this is the guided ice fishing trip for you. 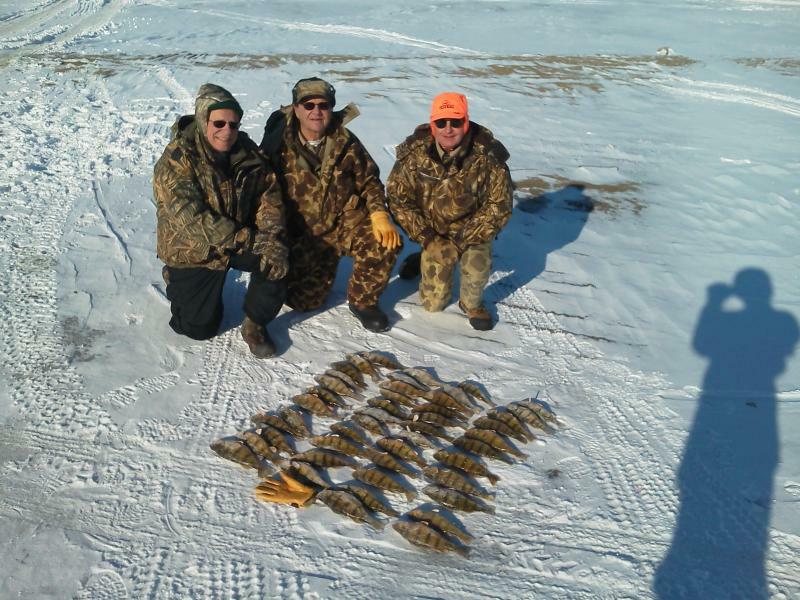 On a typical day on the ice your guide Cory Ewing and his team of guides may drill in upwards of 150 holes to keep you on the fish. 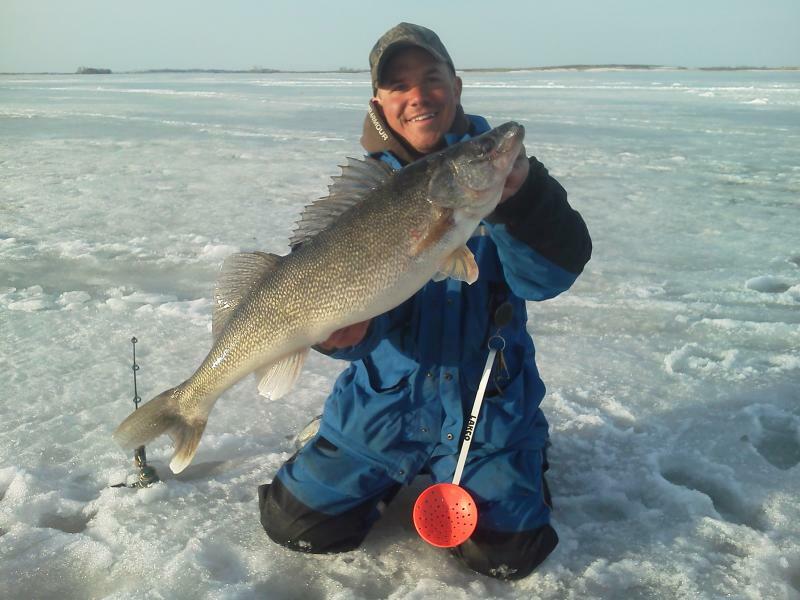 The Waubay Lake Guide Service team looks at the ice typical to the way many open water anglers look to locate walleyes, except instead of armed with a kicker boat motor or an electric trolling motor they troll with an ice auger. 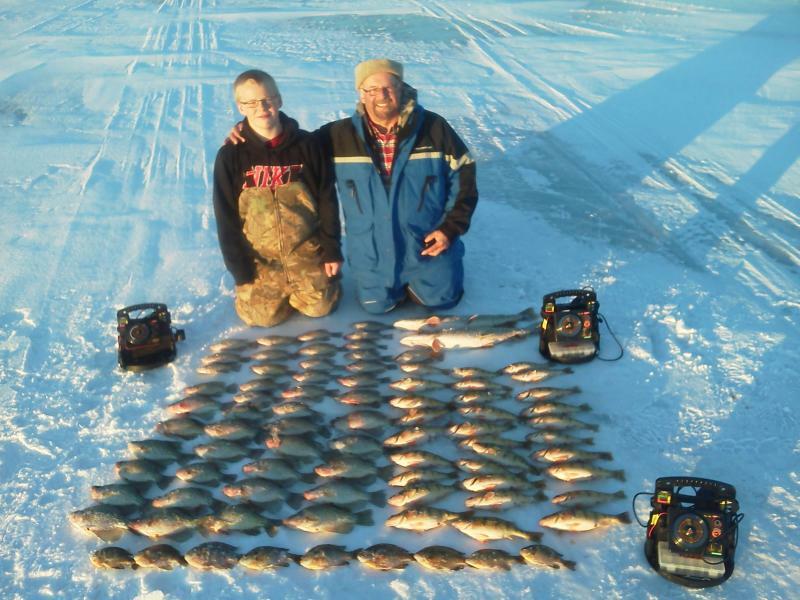 All you have to do is sit back and reel in the fish.